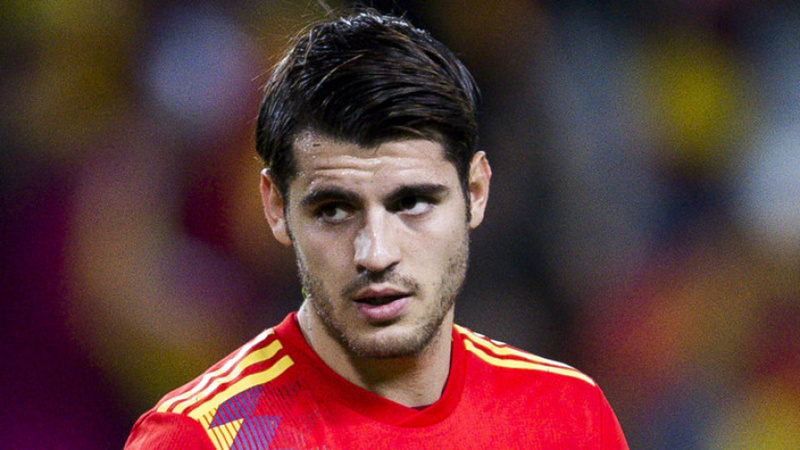 Morata, who struggled with Chelsea this year, had not been included in the squad for Spain's most recent friendlies but Lopetegui had said the player still had chances of making it to the World Cup. Also left out was forward Victor "Vitolo" Machin of Atletico Madrid. Vitolo had four goals in World Cup qualifying, while Morata had five and was among the team's top scorers along with Costa, Francisco "Isco" Alarcon and David Silva. "Best of luck in the World Cup," Morata wrote on Twitter. "I'll be supporting and cheering through the end, as always." Instead of picking a fourth striker, Lopetegui opted to take eight defenders, including Nacho Monreal, the only other surprise on the list. Marcos Alonso and Marc Bartra were among the defenders left out. "We are sorry that we couldn't include some of the players who were decisive in qualifying," Lopetegui said. "Of course, other players deserved to be in the list, like Morata, Bartra, (Asier) Illarramendi and others. There is a long list of players who have helped us but will not go to the World Cup." Nearly 30 players who were called up by Lopetegui since the coach took over in 2016 have been left out of the final list. Youngster Alvaro Odriozola was added as the second right back behind Dani Carvajal, leaving Barcelona defender Sergi Roberto out of the World Cup. The squad has six players from Real Madrid and four from Barcelona. The Madrid players will report to the team's training camp later than the other players because they will play the Champions League final against Liverpool on Saturday in Kiev. Still unbeaten since Lopetegui arrived, Spain will go to Russia trying to rebound from its recent disappointments in the 2014 World Cup and Euro 2016. Eleven players are back from Euro 2016, and 10 were in the 2014 World Cup squad. Only Andres Iniesta, Sergio Ramos, David Silva and Pepe Reina were in the team that won Euro 2008. Spain will play warm-up matches against Switzerland on June 3 and Tunisia on June 9. The team's World Cup opener will be against European champion Portugal on June 15 in Sochi. Morocco and Iran are also in Group B.